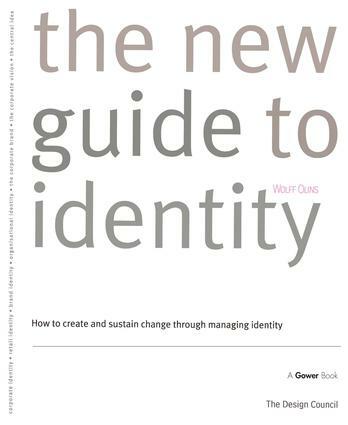 Contents: Introduction: Identity takes off; Identity and the corporation; Identity consultancies; Identity and the management of change; Updating the Guide; Definitions and guidelines; A few rules. Section One: What It Is: What is identity? ; Products/services; Environments; Communications; Behaviour; The dominant factor; The central idea/vision; The symbol. Section Two: Who It’s Aimed At: The internal/external focus; The externally focused identity - corporate branding; The internally focused identity - vision programme; Target audiences. Section Three: Identity Structures: Structures; Monolithic - The single business identity; Endorsed - The multi-business identity; Branded - The brand-based identity; An identity for a subsidiary or a holding. Section Four: Why and When to Introduce It: A climate of change; Globalization; Competition; Mergers, takeovers, alliances and privatizations; The trigger for change; The brief. Section Five: Identity as a Corporate Resource: A corporate resource; The role models. Section Six: Consultants: The need for professional help; Partnerships. Section Seven: Starting Up and Managing the Programme: Preliminaries; Stage One: Investigation, analysis and strategic recommendations; Stage Two: Developing the identity; Stage Three: Launch and introduction; Stage Four: Implementation: making it happen. ection Eight: Control, Cost and Timing: Methods of control and costing. Section Nine: Research: Researching name and visual style; Researching impact - tracking studies. Section Ten: Risks; Bibliography; Appendices; Index. The Wolff Olins Business Ltd, is an acknowledged leader in corporate identity and has been responsible for such corporate identity programmes as Prudential and British Telecom.